Opening hours: Most shops are open monday-friday 10.00 - 19.00, saturday 10.00 - 16.00 and sunday 12.00 - 16.00. The most restaurants are open for lunch 11.00 - 14.00 and for dinner 17.00 - 22.00. 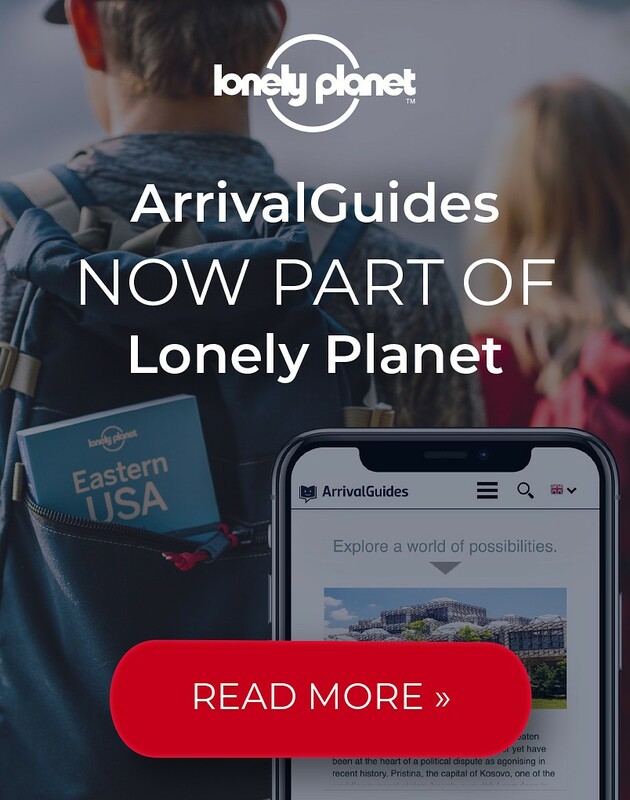 In Karlstad, choose from many unique and pleasant experiences. Music, food, drama, adventure and much more for all ages. We have chosen a selection below. Some events must be booked in advance. 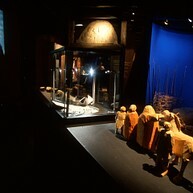 A cultural highpoint of visiting Karlstad is a visit to Värmlands Museum in Sandgrund Park. Not only for the superb and comprehensive permanent and temporary exhibitions of Värmland and other Swedish artists work, but also for the unique architectural experience of Cyrillushuset. The mother of all parks in Karlstad is Mariebergsskogen; part park and part open-air museum down by the shores of Lake Vänern. You could easily spend a day here enjoying its various environs; ancient forest, glades, old buildings, beach and bathing spots and Naturum Värmland – a wonderful building in which the nature of the province is presented. Stop for a cup of coffee or visit the gift shop. You’re kids will love you for taking them here. 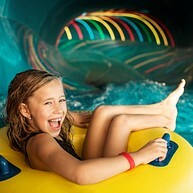 What kid doesn’t love waterslides, climbing walls, heated pools and even a very own kid’s pool. And it's just a short stroll from the town centre. Sundstabadet has a fully equipped gym, relax section and a 25-metre long pool for doing laps. Sundstabadet has two differences water slider, Black Hole and Magic Hole. The differences between them is that kids (and perhaps a co-pilot) fire down the latter in a single or double ring that decides whether they achieve warp-speed – or not. The Black Hole is not quite as fast, as the point here is to collect points by skimming over the illuminated points inside the slide. If your kids get bored of the slides (and how could they?) point them in the direction of the climbing wall that they climb up…and then fall off, usually in quick succession, into the heated pool below. There are also two heated pools for the little once. All this calorie sapping activity means the kids are going to get hungry. The café here serves Fairtrade coffee and all the dairy products are ecological. Sandwiches, snacks, cakes, biscuits and most importantly coffee are all on the menu. The café opens on to the kid’s section so you can order 'pool side'. 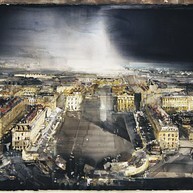 Lars Lerin is one of Scandinavias most famous artists. Lerin is hugely popular in Sweden and is fast approaching "national treasure" status. The content of the exhibition contains watercolours and oils, collages, graphic art and photographs. Alsters Herrgård is the countryside estate where Gustaf Fröding, one of Sweden’s most beloved national poets, was born in 1850. The estate consists of a 19th century new-classical style mansion house and several other earlier buildings set in the lush Värmland countryside. 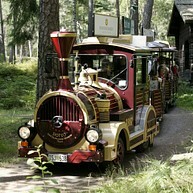 It lies 8 km east of Karlstad and is easy to get to by car, local and regional buses and even by bicycle. If you don't have a bike can you always rent one from Solacykeln in Karlstad. The 90 km railway embankment coated with asphalt. Klarälvsbanan is a disused railway embankment, where the rails have now been removed and motor traffic is strictly prohibited. An outdoor experience that will lead you through the landscapes of Värmland, from Karlstad in the south to Hagfors in the north. 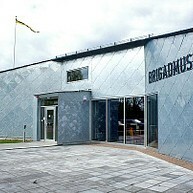 Sliperiet is a modern art and culture centre in Värmland´s countryside, just 40 km outside of Karlstad. It offers the best of two worlds. A wonderful exhibition of contemporary art and a fantastic atmosphere as well. Sliperiet won the 'Newcomer of the year' tourism award in Värmland 2012. At Sliperiet you can also enjoy an unforgettable taste experience in Major Larssons café & wine bar. The museum shows Sweden in the Shadow of the Cold War", via original and well-preserved military and civilian objects, artifacts and accurate settings stretching from the 1940s to the present day. All-in-all, the museum provides you with fascinating snapshots of daily life in Sweden from the 1940s to the 1990s, covering such events as the building of the Berlin Wall, the Vietnam war, the affluent Swedish society of the 1950’s and others. How good of a shot are you? Try one of the simulators here; one lets you take part in military target practice with a 1942 automatic rifle and the other puts you in charge of a tank in a tank battle. Inside the museum and outside in the courtyard are some pieces of military technology and hardware, including tanks and guns that will interest military historians, but this is a museum for the whole family. And, of course, you’re going to work up an appetite at the museum. Pay a visit to the museum café called Café Kaviar for homemade eats and refreshments and then have a browse of the museum shop. In many Swedish cities during the mid 19th century there were ambitions to build parks. They were inspired by parks on the continent. The ambition was not any different in Karlstad and in the 1860´s the work began to lay out a city park. In the early history of the park there were a school for gardeners and a nursery here. After a fire in the old restaurant in 1959 the Karlstad City Park lay fallow until 1993. Today the park has a great selection of trees, bushes and flowers. You can also find many rhododendrons and around forty magnolias here. 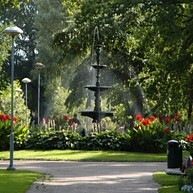 The Karlstad City Park is really worth a visit for all of you who are interested in flowers.